Today I will post with color challenge tag and with fridayskyblue theme. 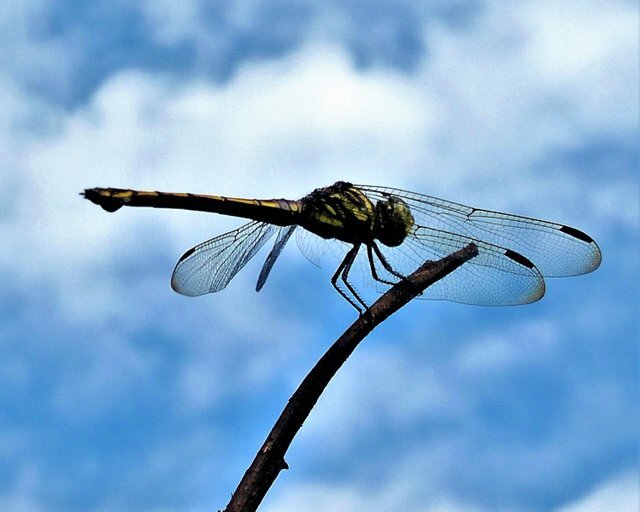 I will post a photo of a dragonfly perched on a wooden branch with a blue sky background. I only have one good photo. hopefully you like the photo I am posting this. Let's promote #steem to the world. This post has received a 4.52 % upvote from @aksdwi thanks to: @promosteem. You got a 4.87% upvote from @allaz courtesy of @promosteem!